Filter Magazine in association with the Hammer Museum presents their bi-monthly event, BIG TIME. 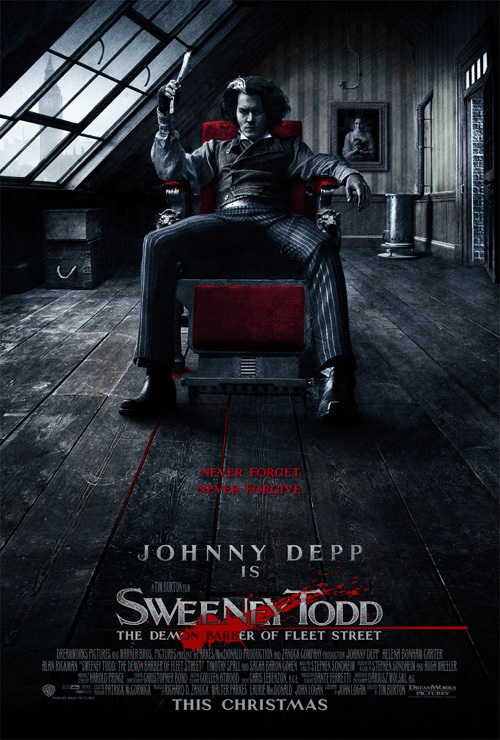 This edition features an advance screening of Sweeney Todd: Demon Barber of Fleet Street starring Johnny Depp and directed by Tim Burton. The event also features Radiohead's In Rainbows release party and giveaway, an exhibition of art and--for those who don't make it into the screening (only 250 seats!) --an outdoor showing of Tim Burton's Nightmare Before Christmas in the courtyard. Sweeney Todd opens on December 21st--just your typical family-oriented holiday movie (NOT! ).